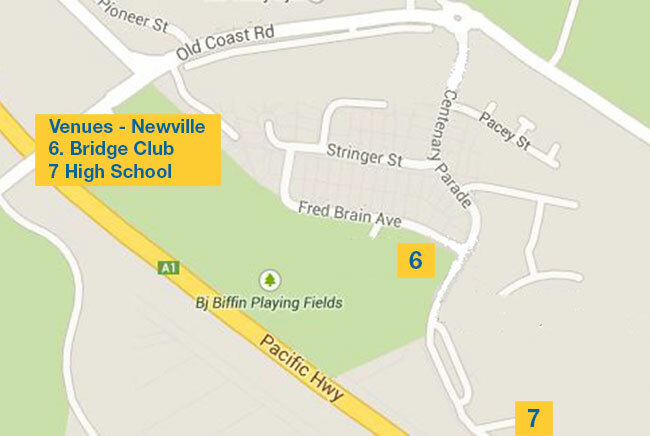 Courses are held at various locations within the Nambucca Valley and your course list will indicate which venue is applicable for any course. 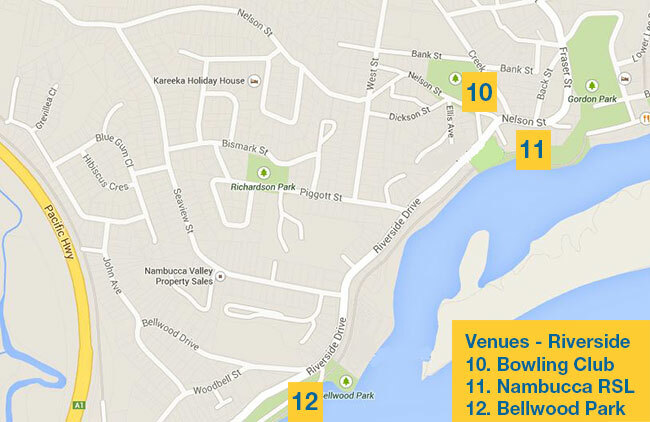 Courses may also take place at private homes, for which details are made available on enrolment. 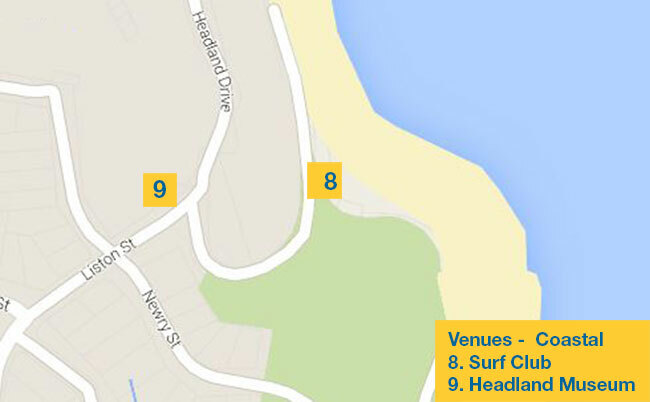 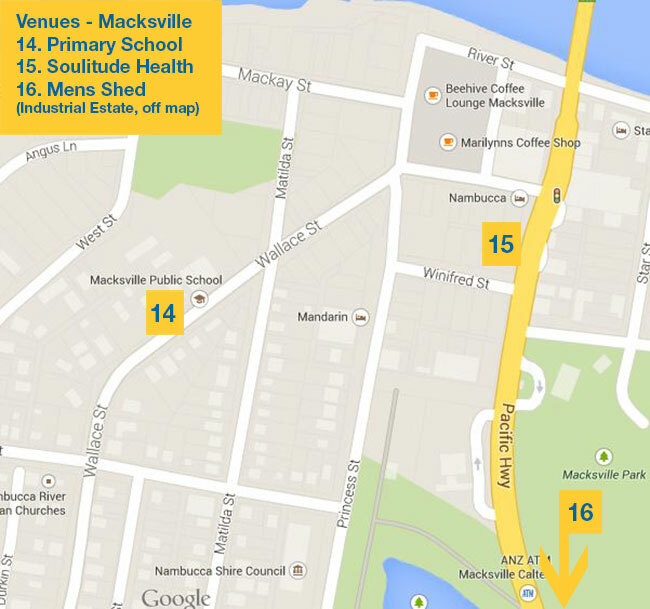 The following map provides an overview of the course venues in Nambucca Heads, Macksville and Bowraville. 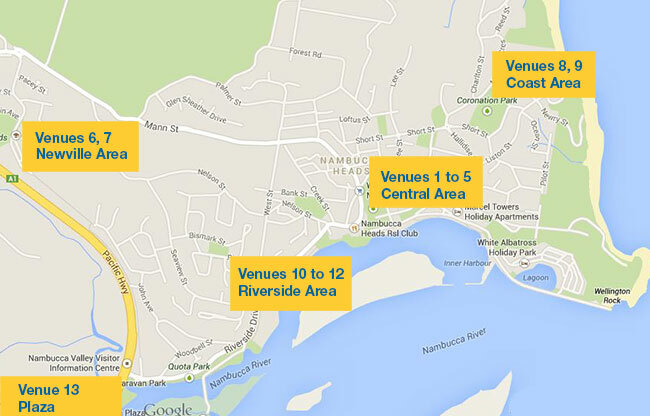 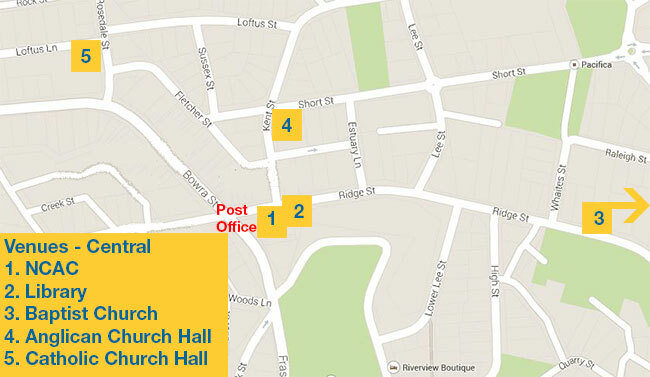 The maps below provide more details to each area and venue localities. 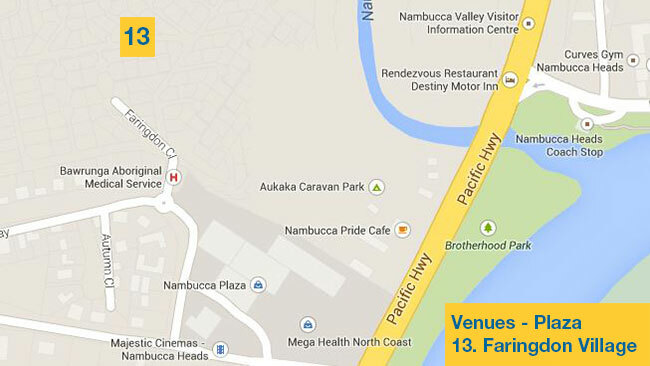 The old service station is on the right-hand side as you drive from Nambucca. 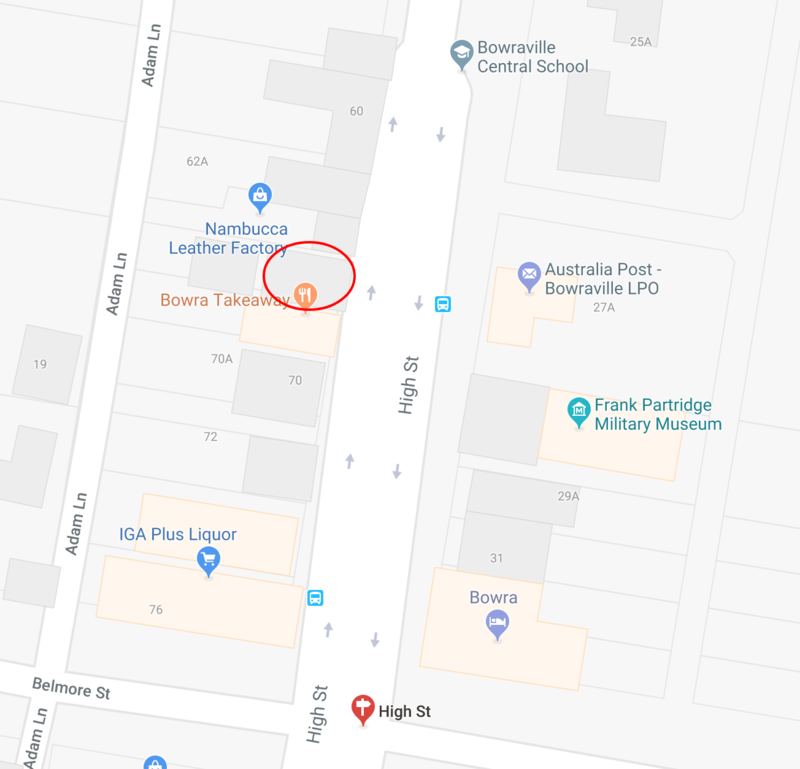 It is opposite the Post Office, just beyond the Bowraville Central School.